It's our Annual Scratch and Dent Sale! Please Read! We have SOLD OUT of all of our scratched and dented products. We are sorry that we did not have more! But, stay posted with us by subscribing to our newsletter as we have more great sales throughout the year and next January we will do this again! Would you like to get MAJOR SAVINGS on our most popular products? Our freight company was not kind to us this year. Would you believe that approximately 10 percent of all of our hardcover and softcover books were slightly damaged prior to, or during delivery, to our office? What does this mean for you? We are slashing prices dramatically to get these off of our warehouse floor and into the hands of those that appreciate a GREAT DEAL. And don't mind some very minor wear! We've included pictures for you so that you will know exactly what type of damage we have on our books so that you will not be surprised in the least. We have taken pictures of the worst, so that what you receive when you buy these books will be of the same level of damage or BETTER! Just remember... these prices are only in effect until Sunday, February 1st or while supplies last (whichever comes first)! If you have any questions or comments, of course, just send us an email at helpdesk@kqpublishing.net. (You will receive a book with this amount of damage or LESS - just slight dings) Looking for a geography program that is easy for kids to understand and yet not dumbed down? 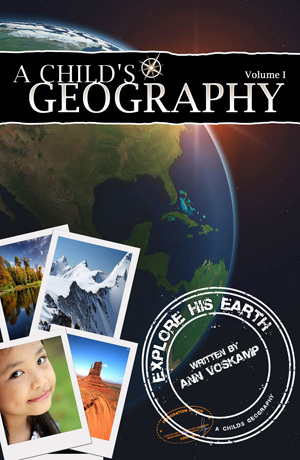 This fantastic series makes geography fun and your kids will learn so much (so will you)! Ann Voskamp knows how to take difficult concepts and make them simple for children to grasp. This series is written for kids from 1-6 grades. Retail prices for these books is $32.95 for volume 1: Explore His Earth and $34.95 for volume 2: Explore the Holy Land. However, if you do not mind a slightly damaged edge or corner, you can get these titles for just $16 and $18, respectively. CD-ROMs are included and in perfect condition! Read more about Explore His Earth here. Read more about Explore the Holy Land here. Are you in need of some geography resources to tie in with your history studies? We hear so many parents and teachers who are worried about whether their students are learning enough geography and how to incorporate that subject seamlessly into their studies. Now, in one volume, you can have access to over 200 historical maps ready for your student to label and color. Lesson plans and reproducible CD-ROM are included. Read full description of Blackline Maps of World History here. Retail price is $45.00, but you can save $15 today if you don't mind a small dented corner. See pictures below. The CD in the back of the book alone retails for $29.95, so that means you are getting the slightly dented book along with it for only a nickel! The CD is in mint condition. This is the worst dented corner of the bunch! This was among the worst. The rest of the dented books are better, some barely noticeable! 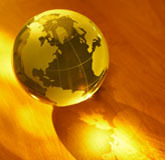 Are you in need of some geography resources to tie in with your U.S. history studies? We hear so many parents and teachers who are worried about whether their students are learning enough geography and how to incorporate that subject seamlessly into their studies. Now, in one volume, you can have access to over 110 American history maps ready for your student to label and color. Lesson plans and reproducible CD-ROM are included. Retail price is $25.00, but you can save $10 today if you don't mind a small dented corner. (damage didn't show up in the photos, so we didn't post them). The CD in the back of the book alone retails for $19.95, so this is a remarkable deal. The CD is in mint condition. Your students are learning so much history, but do they have a place to record it all? Wouldn't it be nice to have a hardcover timeline book where all of this information can be compiled beautifully in one place? When completed, it becomes a treasured keepsake! Save $10 today if you do not mind a slightly dented corner or minor imperfection on the cover of your timeline book. These books have slight damage - usually a dented corner, but the CD-ROM in the back is in perfect condition (valued at $20 when sold separately). This is the worst dented corner that we came across. Most are minor and many are hardly visible. A small dent is all you have to put up with to get over 40% off these beautiful keep-sake hardcover books. Why not stock up! We have several of these available with slightly bent corners! (damage wasn't visible in the photos, so we didn't post them) So, if you would like to study the geography of the United States in a fun and challenging way, this book is the one for you. Join us as we travel from coast to coast, learning about the 50 states! From the disappearance of England’s first American settlement to California’s population explosion of 1849, you’ll experience the growth of a new nation. From Plymouth Rock to Pearl Harbor, you'll follow the course of American history and geography! And when you're done and you think you've learned everything you can... Well, crack your knuckles, take a seat, and turn the pages to one of our challenging brain games. Trust me, if you want to stay in the know, the four GeoQuizzes are for you! Great for children 4th grade on up to adult! The State Book contains 80 glossy full-color pages! Read more about this delightful book here! And take a look at the companion workbook on sale as well! State Book only $9.50 - that's 50% off! This book is regularly priced at $15.95, but if you don't mind a slightly damaged corner, you can get this title for over 50% off! What Really Happened in Colonial Times (softcover) $7.50 This collection of historical biographies geared toward 8-14 year olds presents the lives of ordinary people who accomplished extraordinary deeds during the Colonial time period. Illustrated with stunning portraits, this inspiring compilation of stories describes with historical accuracy and age-appropriate content the quality character and unbending determination of Pocahontas, Lady Alicia Lisle, James Cook, Rachel Walker Revere, Lord Admiral Nelson, Catherine Ferguson, Lucretia Mott and Narcissa Whitman. P.S. Last year we sold out our slightly damaged inventory in less than 2 days, so you might want to make your decisions quickly. Our system will let you know if we have sold out of an item. Otherwise, if you have any questions, just give us a call at 1-877-697-8611 or send an email to helpdesk@kqpublishing.net.